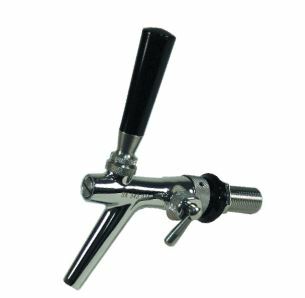 Taprite's Variable Flow Control Faucet allows you to adjust your beer flow with a lever right on the faucet, eliminating foaming problems when your beer lines, temperature, or pressure cannot be adjusted to account for multiple beer styles. The self closing feature prevents the accidental loss of beer. The 304 stainless steel interior will not erode or leach metallic flavors into your perfectly poured beverage. The 304 stainless steel exterior is highly polished for a sparkling, mirror finish. 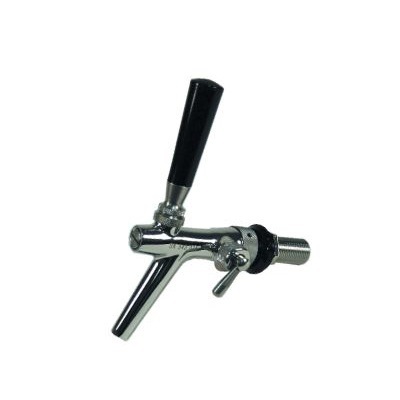 Stainless shank assembly (1.75"), stainless in-line compensator, and black faucet handle are included.